Root system in plants plays an important role in mining moisture and nutrients from the soil and is positively correlated to yield in many crops including rapeseed/canola (Brassica napus L.). Substantial phenotypic diversity in root architectural traits among the B. napus growth types leads to a scope of root system improvement in breeding populations. In this study, 216 diverse genotypes were phenotyped for five different root architectural traits following shovelomics approach in the field condition during 2015 and 2016. 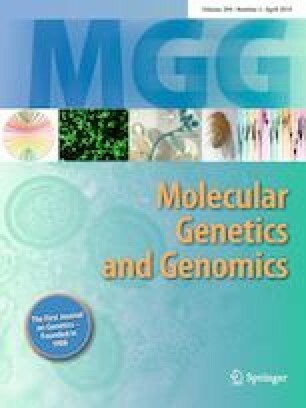 A single nucleotide polymorphism (SNP) marker panel consisting of 30,262 SNPs was used to conduct genome-wide association study to detect marker/trait association. A total of 31 significant marker loci were identified at 0.01 percentile tail P value cutoff for different root traits. Six marker loci for soil-level taproot diameter (R1Dia), six loci for belowground taproot diameter (R2Dia), seven loci for number of primary root branches (PRB), eight loci for root angle, and eight loci for root score (RS) were detected in this study. Several markers associated with root diameters R1Dia and R2Dia were also associated with PRB and RS. Significant phenotypic correlation between these traits was observed in both environments. Therefore, taproot diameter appears to be a major determinant of the canola root system architecture and can be used as proxy for other root traits. Fifteen candidate genes related to root traits and root development were detected within 100 kbp upstream and downstream of different significant markers. The identified markers associated with different root architectural traits can be considered for marker-assisted selection for root traits in canola in future. The online version of this article ( https://doi.org/10.1007/s00438-019-01563-x) contains supplementary material, which is available to authorized users. The authors also declare that this article does not contain any studies related with human participants or animals performed by any of the authors and complies with ethical standard.